The village is a fascinating blend of sail and fishing boats, piers, wharves and floating homes, constantly active and full of independent, creative characters living and working on the water. Up the hill are some of the nicest vineyards to be found. The area, once primarily devoted to farming, has found new life producing some of the best wines around. Be sure to visit! On land you can play tennis on the 2nd oldest active lawn tennis court in the world next to Wimbledon, ride a horse, hike a trail or go for a bike ride. 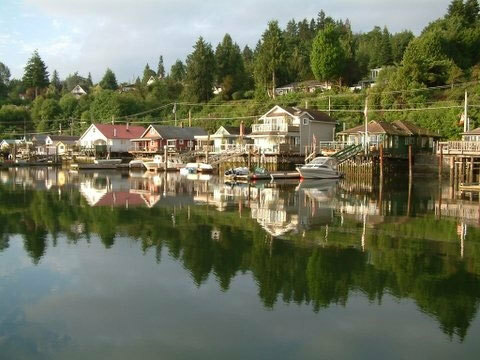 Cowichan Bay has always been known as the place to dine in the Cowichan Valley with great restaurants looking out over the water. There is lots of fresh seafood and a growing number of fine local wines to go with your meal. We live in a Slow Food area! 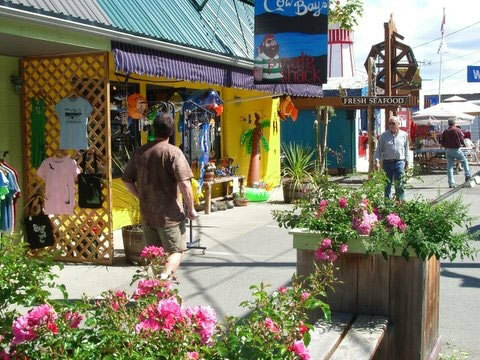 Cowichan Bay is a waterfront village, so you can sail all day on a twin masted ship, race across the waves in a Zodiac to go whale watching, rent a boat and take a picnic to a deserted beach, dive deep to see the creatures of the sea or go kayaking as the sun sets.